It is 7:00 pm slt and a class begins. Each student of Woolston-Steen Theological Seminary is represented by an avi sitting in the classroom. “Earn Your Degree From Anywhere” is what Woolston-Steen emphasizes to their prospective students. 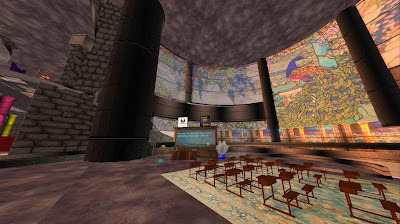 All of their classes are held online in their SL virtual classroom environment so that all students may participant from any location in the world. If the student has access to the internet, they have access to the campus through SL. 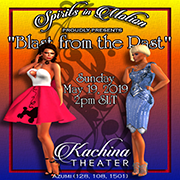 Sponsored by the Aquarian Tabernacle Church, Woolston-Steen is recognized by the State of Washington as a religious seminary able to grant degrees in Wiccan Ministry. You may earn an Associates’, a Bachelor’s, or a Doctorate in Wiccan Ministry. The Dean of Seminary is Belladonna Laveau. She is the Archpriestess of the Aquarian Tabernacle Church International. 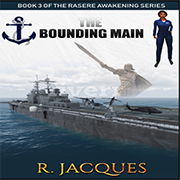 She authored the book Awakening Spiritwhich is used by the U.S. Military to assist chaplains minister to Wiccan troops. 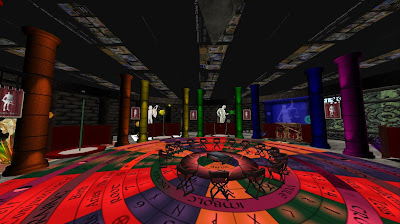 Today we get to hear from Dean Belladonna Laveau about the school and it’s connection to second life. 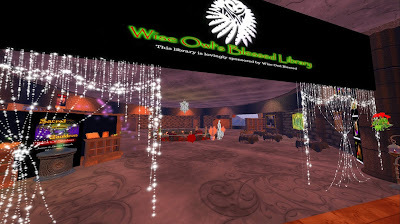 Dean Belladonna Laveau: Thank you for the opportunity to talk to the SL Enquirer about what we do at WiccanSeminary.EDU, a real Wiccan College that holds classes in Secondlife. Seersha Heart: Happy to hear all about the college. There are ways to make a class offering online, why did your school choose SL? Dean Belladonna Laveau: We teach witchcraft at WiccanSeminary.EDU. Secondlife is a 'tween space where magic can be done and energy can be experienced. It's very similar to any other place "between the worlds". In this place we can teach magic easier, because we can generate the energy in the space with the students, and illustrate it. Students can see what we are doing energetically, and learn faster. Seersha Heart: Are any of your students veteran SL residents? Are some familiar with SL before they begin school? Dean Belladonna Laveau:We get a good bit of our student body through Secondlife residents. It's helpful to be familiar with, and a fan of Secondlife before starting school. Learning to navigate Secondlife can be an additional challenge for the student, who is not already adept with the software. Knowing how to shop, build, and edit makes it easier to turn in assignments and progress through the school. 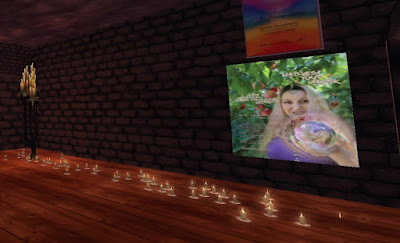 Seersha Heart: What training in SL do you offer students? 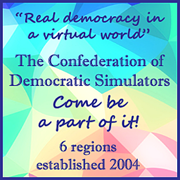 Do you have an orientation to SL? Dean Belladonna Laveau:We take them to Caledon University, and accompany them while they go through. We also send them to Builder's Brewery, or provide a simple building class. 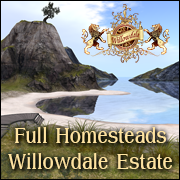 We try to utilize the resources already provided on Secondlife, and be part of the greater community. Seersha Heart: How long has your school operated in the SL classrooms? Dean Belladonna Laveau:Our school has been teaching classes in Secondlife since 2009. We first came in, when one of the students offered to let us set up on his private land. We then were offered to purchase Sacred Cauldron, which was already established. We couldn't resist such a beautiful and sacred offer. The Goddess provided us the funds for it in an immediate and miraculous way, and we were home. Seersha Heart: You list possible areas that need clergy on your website. Does the school help students with job placement? Dean Belladonna Laveau: We do. The Aquarian Tabernacle Church sponsors the school. It has many departments where a student can work. You start out in intern positions that are volunteer, and learn the industry through experiencing it from the inside. 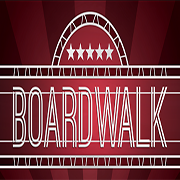 We have a Career Counselor that is available for helping you map out your career path. Seersha Heart: Is there a graduation ceremony? Dean Belladonna Laveau: Yes. 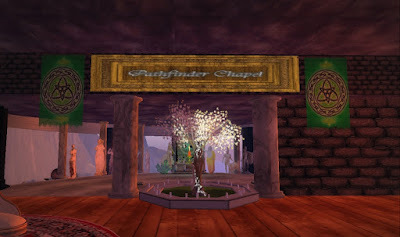 It is held inworld in the spring. Seersha Heart: Do you know some rl jobs your graduates are doing now? Dean Belladonna Laveau: Most of our graduates continue in service as Ministers. They are running festivals and churches, writing books, and articles, being spiritual counselors, and serving to help Wiccans and Pagans all over the world. Seersha Heart: Has SL proved to be a good location for your virtual classroom? 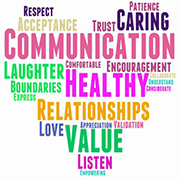 What are the good aspects and what are the aspects that challenge the school in SL? Dean Belladonna Laveau: We love working in Secondlife. 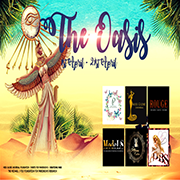 We find it supportive of the many programs we have, and we continue to bring more programs inworld as we grow. The challenge is not having voice on cellphone viewers. We have started using Skype for Business for the voice chat aspect of the classroom instead of SL voice. It's more convenient for students on the go, and it allows us to record the class. We would be happier and more efficient if SL integrated with outside technologies. Seersha Heart: Can someone apply to the school in SL from the campus? Dean Belladonna Laveau: Yes, just pop into the castle and as for help, or ask for help right on the Sacred Cauldron group list. There is almost always someone online to help. You do have to interface with a standard web browser to complete the forms and tuition requirements. The school does not accept Lindens for tuition. Seersha Heart: What do you want prospective students to know about the experience and the school? 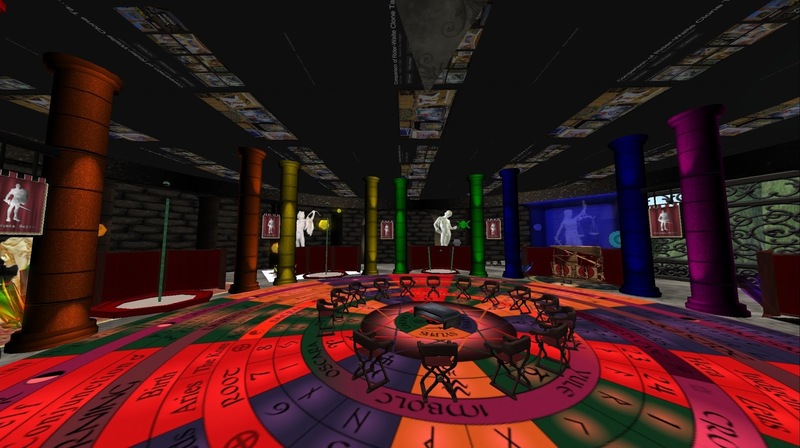 Dean Belladonna Laveau:Sacred Cauldron is an open campus, come and see what it's like to do magic in a virtual 'tween space. There are so many layers that Secondlife brings to magical training, that I couldn't cover them within the space of this article. Having to create a world that changes with the seasons is a lesson of magical design that one wouldn't expect, and that is only one aspect to the depth of knowledge you will receive at WiccanSeminary.EDU. Another very important, but unexpected perk of working within secondlife is the exposure you have to the world-wide community of pagans. I have close friends all over the world, because of my work in Secondlife. These are the future leaders of Wicca, from all over the world. That's a networking perk that will prove to be invaluable to the students of today in years to come. Knowing each other across the globe, as you build your own churches, allows you to network, and form common goals, making it a stronger spiritual foundation for not only you, but for those who know you, and for the whole religion. 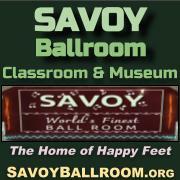 Not only is it extremely valuable, it is a fun place to learn. Never discount the fun component when it comes to learning. Students that work in Secondlife can't wait to come to class. They spend more time on campus, more time focused on their studies, more time developing magical relationships, and more time learning. Our students advance faster, and become more accomplished, as their careers develop. 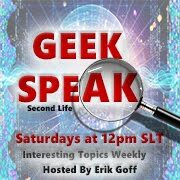 We find Secondlife an invaluable addition to our online campus. Seersha Heart: Thank you so much for answering my questions. Dean Belladonna Laveau: Thank you for the opportunity to answer your questions. We at WiccanSeminary.EDU appreciate the chance to share our magic with you. For more information, visit their website or visit Sacred Cauldron at the links below. It is a magical experience.